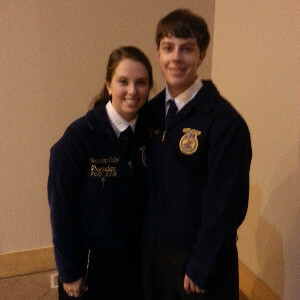 Favorite thing about FFA: It's something that makes me happy and I get to meet a lot of great people in the process. FFA has been such a great thing in my life and will help me get into the college I want too. 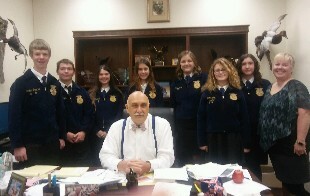 My goal for FFA: My goal for FFA this year is to expand out more and be more involved. I feel like our chapter can accomplish big things if we were to have more membership and more participation. I also want us to connect more with our community. 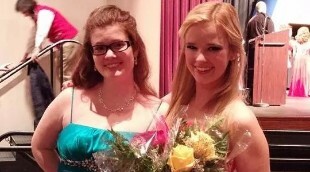 FFA has impacted my life in so many ways. 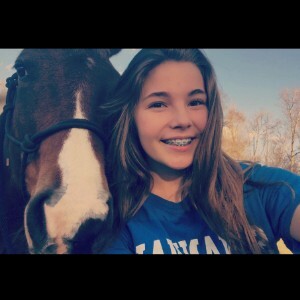 To me, FFA is a part of my life and without it I don’t know where I would be. It has given me the chance to become an officer. 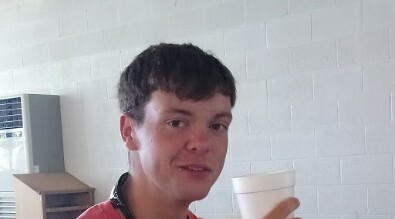 Everyone in our FFA Chapter encourages me to do my best and are very supportive and encourage my smart decisions. Since joining, I have traveled out of state and met so many people. I have made hundreds of friends, numerous amounts of close relationships, and learned so many new things. The FFA to me represents a change in my life, it represents me working towards goals, and achieving them. It represents all the times I didn’t want to step out of my comfort zone, but did and helped to make a difference. 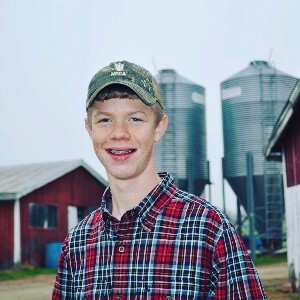 To me, the FFA has been a huge influence in my life. 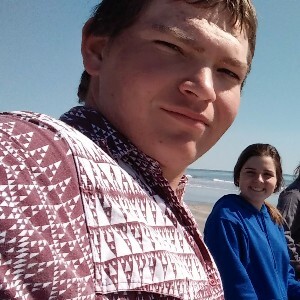 FFA Camp at beach was my favorite FFA memory. "You cannot have a happy, healthy, and peaceful continent without food." I love FFA because everyone is so friendly. Also, the more you are involved in it, the more you learn about animals. I have grown with so much knowledge. I also have learned more communication skills with people because we meet a lot of people. 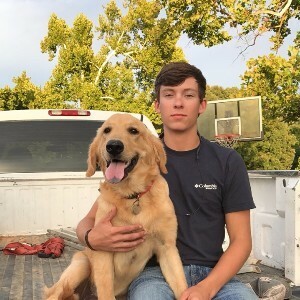 FFA has helped me grow in knowledge about animals and my community. It has also got me a summer job. I have learned what to do in certain situations that involves animals. 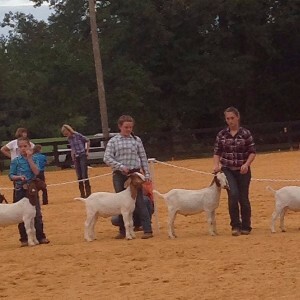 My most memorable FFA memory is the livestock judging contest. My favorite quote is: "The only reason I'm fat is because a tiny body could not store this personality?" 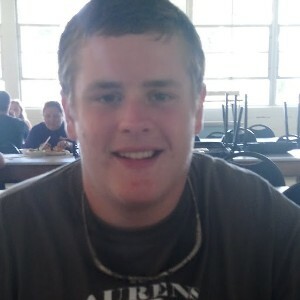 My favorite FFA memory is when I went to my first FFA meeting. It opened a doorway I never saw myself going through. 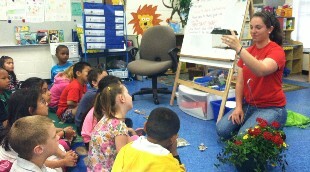 FFA Member taught kindergartners about different types of animals and plants at Explore Agriculture Day. 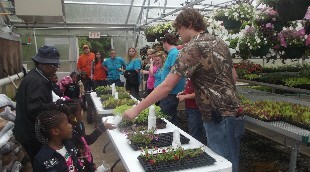 40 FFA members taught about 450 kindergartners about 12 different animals, kindergartners toured the greenhouse and put a plant in a cup to take home, and learned about how to take care of a garden. They also harvested lettuce to take home with them. 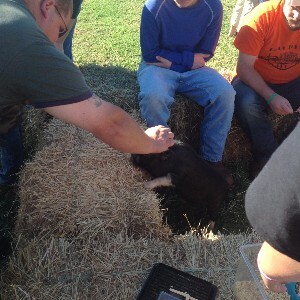 FFA Members worked an agriculture animal area. The area allowed visitors to pet farms animals and learn more about where there food comes from. 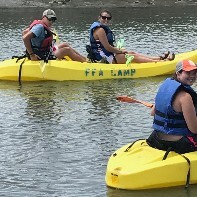 FFA members read to children at Reading on the River. 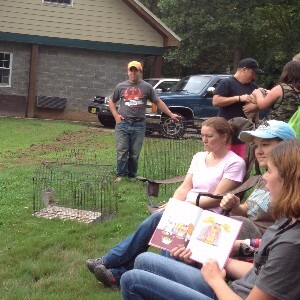 We had animals and related books to attract children to our area. 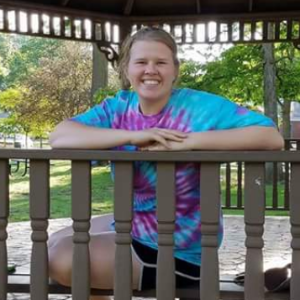 FFA Members developed different lessons to present in our local elementary schools related to agriculture. The lessons were given to children from 4 year old to students in middle school. FFA Members worked with Servants with Hearts to pack 15,000 meals for the hunger in our area and Nicaragua. We worked with members from other chapters to put soybean meal, corn meal, dried vegetables, and rice. 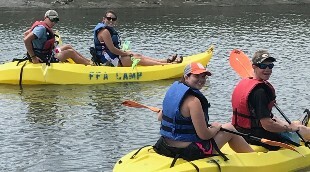 FFA Members enjoy the South Carolina Leadership Center for a week of educational and fun activities at the beach. 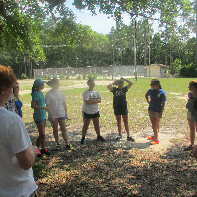 Members participate in high ropes, low ropes, kayaking, team sports, and other leadership activities. In this picture an FFA member is starting the high ropes course. 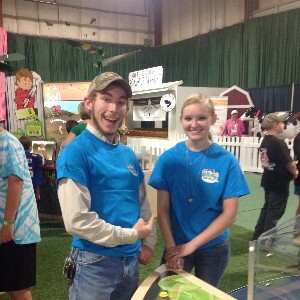 Every year FFA members visit the South Carolina State fair. During the visit FFA members compete in Tractor Driving competition, visit and help man displays, and visit animal areas. Members have an opportunity to interact with members from around the state and learn about agriculture in South Carolina. Members also have free time to enjoy the rides and food the fair has to offer. 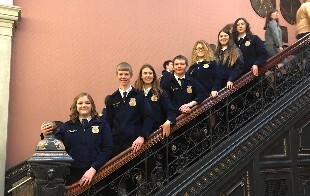 FFA Members visit the South Carolina State House to meet with their government officials and participate in the FFA Week ceremony. Team members work together to create a certain object to withstand different obstacles. Team members compete in volleyball, dodgeball, and kickball. 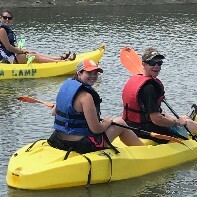 FFA members kayak and canoe on the inter coastal waterway. 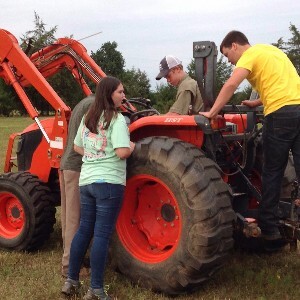 FFA Members learn to work together and enhance their leadership abilities. 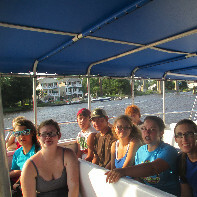 We cruised through the inter coastal waterway and into the ocean. We did not see any dolphins but we did see plenty of waves. Swimming to cool off in the summer heat. Working on our card board project and making it pretty. 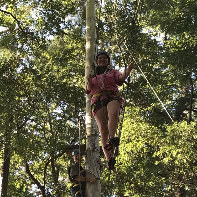 FFA Members test their skills and bravery on the high ropes course. 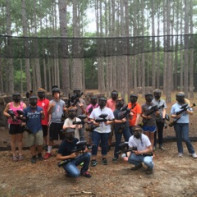 FFA learn to work together and have fun on the paintball course. We start our day sharing positive thoughts and raising the flag. 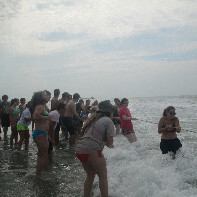 Our girls and boys won their tug or war and finish first in the total competitions. 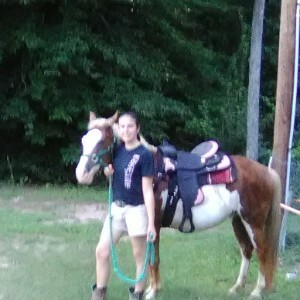 Horse Judging gives FFA Members an opportunity to demonstrate their knowledge related to evaluating horse qualities, identifying tack and equipment, evaluating and processing a solution to a problem, and verbal expressing why they judged a class in a given manner. 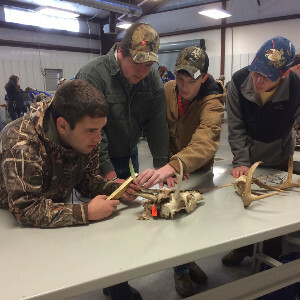 The wildlife competition consist of members identifying different types of wildlife from their pelts, tracks, or mounts; score deer antlers; age deer by their teeth; evaluate habitat; and take a wildlife related test. 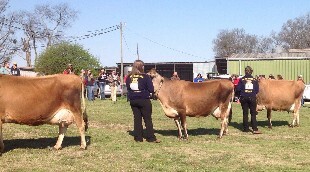 Dairy Judging consist of FFA Members judging different breeds of dairy cattle. Along with the judging, members also give oral reasons, take a test, and develop a solution to the team problem they are presented. 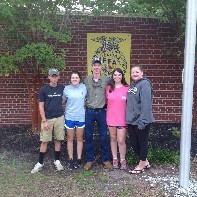 Laurens FFA finished first place in the State FFA Dairy Judging Career Development Event. Matthew Brownlee was high individual. 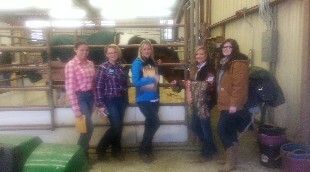 FFA Members judge beef cattle, sheep, goats, pigs, and give oral reasons explaining their placings. The participants also have to take a test related to the livestock industry and evaluate genetic information. The Public Speaking CDE is broken up into various sections: Prepared Public Speaking, Extemporaneous Public Speaking, and Creed Speaking. 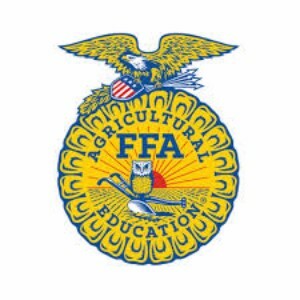 This is an individual event that allows FFA members to demonstrate their speaking ability.